Last Updated: March 25th 2019 Barcalounger have been operating since 1941 which is old even for the furniture industry. In their long history they’ve grown and diversified and are now present in homes across America. They’ve secured their spot as one of the top 10 in the furniture industry by creating styles that last. In this Barcalounger furniture reviews guide you will learn all about Barcalounger as a company, the types of furniture they produce along with the quality of these pieces, and their warranty information. Each of these are incredibly important when selecting furniture because but when all of these are combined you have something truly memorable which adds great value to the home. This is where Barcalounger comes in. Barcalounger specialise in creating luxurious pieces for your living room with a classic look and feel that provide maximum comfort for the customer. Barcalounger create products for the living room in all shapes and sizes. The furniture they create is to fit a specific need and suitable in a variety of homes. Barcalounger has even made an appearance in the hit show Friends! They create sofas, loveseats, sectionals and other pieces for the living room but their speciality has always been in their seats and reclining chairs. Barcalounger set themselves some fairly tough standards in order to keep the quality of their products high. They put all of their expertise, built up through a long history, into each piece and have thousands of skilled staff who manufacture and assemble each unit and check for imperfections to limit errors. 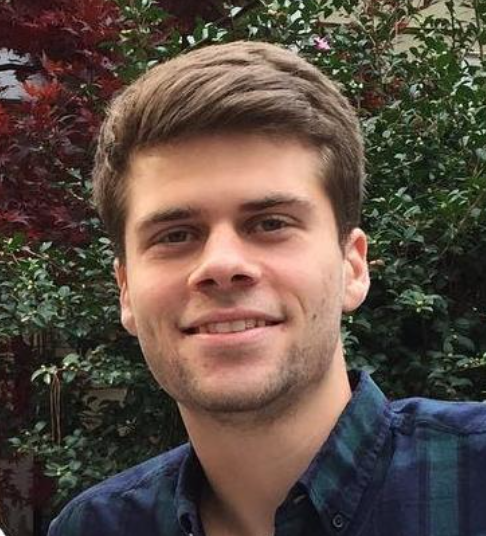 Barcalounger keeps all of their manufacturing within the U.S and don’t outsource so they can keep the quality high. If you are looking for other American made furniture then check out Pulaski furniture along with Broyhill furniture! Barcalounger have done really well in combining modern techniques and technology with a traditional commitment to their craft. This includes pocket coiled seating, advanced cushion technology and the latest wood finishing techniques. All of this adds up to some well built and practical units that you can rely upon in the home. 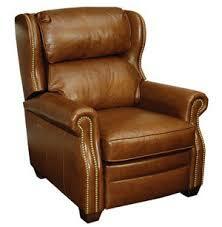 Another recently reviewed recliner brand that is currently one of our top choices for recliners, Bradington Young. Barcalounger create a variety of different products. They’ve kept it simple by splitting the furniture into 5 unique product ranges for different style choices. The basics line is where Barcalounger houses their classic recliners. Filled with reclining chairs of a traditional and transitional style the basics is the most cost effective range, with recliners starting from a few hundred dollars. 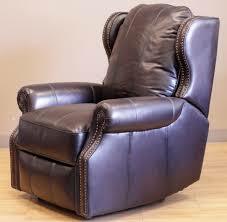 Built with optional nail head trim; pocketed coil seating: tight seats and cushions with dacron wrap. The Barcalounger basics range is perfect for those looking for affordable comfort. Made for the modern home the casual comfort collection is perfect for those with active lifestyles or a family running around. This range is designed to be durable with some great inbuilt features to keep them fresh. The styles are varied but generally offer a relaxed vibe with clean tailoring. There leather options are both because they look great but it offers durable protection from daily wear and tear. The casual comfort collection fits a modern family style of living room perfectly. Overall Barcaloungers actually have some pretty solid lumbar support as well. The Modern Expressions collection is the contemporary collection of furniture to fit with a modern or more up to date home. 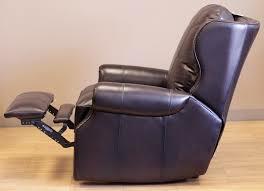 The recliners come with several added features and mechanisms built in for increased utility. This collection has transformed the classic look of the recliner and brought it into the 21st century, allowing you the relaxation and comfort without the dated style. The modern expressions range is ideally suited for those who value their fashion and like to keep up to date with modern twists. A classic recliner doesn’t work in every home but the new seating designed by barcalounger does. 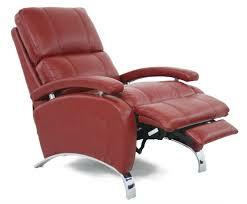 Pedestal recliners are the ultimate in luxury. Barcalounger have developed some great looking pieces that let you put your feet up and relax. 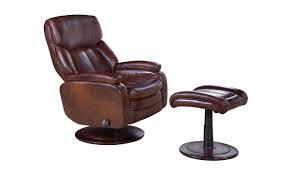 If your living room is where you come to unwind at the end of the day then you have to consider getting a pedestal recliner. Everyone is working hard these days you want to have the best experience when you’re at home. Finally we have the Barcalounger vintage collection. This features some of the old, but timeless, looks that we expect in furniture. It features chairs, sofas and ottomans that are available in fabric or leather. All the designs have been updated with the best materials and techniques meaning the vintage collection really adds something to your home. This is undoubtedly their most refined collection and people will take notice of the look and quality. All of these collections mean that every style is catered for. From the modern home to the traditional there are pieces to suit every taste and complement your existing decor. Barcalounger have done well to produce so many high quality products that will suit so many homes and It’s one of the reasons they are so popular with customers. When deciding on your furniture you’ll get to choose more than just the style you choose from. Within each collection there are a range of different pieces with different sizes and shapes to allow you to use the space you have available most effectively. The main choice will be between fabric and leather. Leather is more durable generally but can be more expensive so your budget might have an impact. 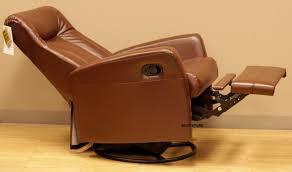 Other choices will include motion type with gliders, recliners and lift mechanisms all available. Each unit is also available in different colours so you can choose which best suits your home. Barcalounger don’t have as many choices or features as some of the other brands but they still have a lot of options within each of their product lines. The construction quality remains relatively high within each of these and means whatever you choose it should last. Barcalounger offers a warranty to cover their products against any defects. The mechanisms and springs are covered for up to 3 years, frames, cushions and parts for 2 years, filling material and fabrics for 1 year and electrical parts are covered for 1 year. The warranty covers all defects in material and workmanship, but always check with your dealer before purchase so you know exactly what’s covered. Barcalounger furniture is generally regarded as some of the best made for the price point. They have a long history of making good furniture that gives value to the customer and they seem to be holding up their end. However there have been concerns that some of their cheaper pieces are now being imported from Asia. While the majority of their products are still made within the U.S, be sure to check with your dealer and if you need to it might be worth upgrading. You really can’t beat that American build quality. Overall Barcalounger have a varied selection of really fashionable up to date living room furniture. They don’t have as many personalisation options as other companies but they have a lot of different styles and features to provide what you need at a competitive price.